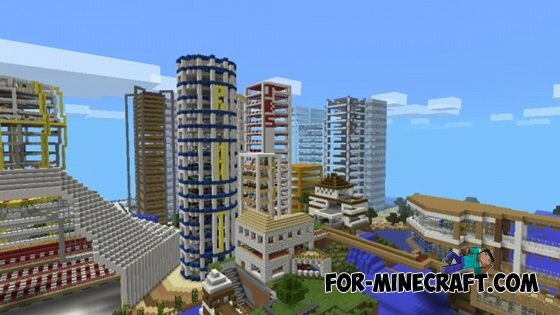 Huge modern city in Minecraft Pocket Edition! All the buildings are made up of skyscrapers. 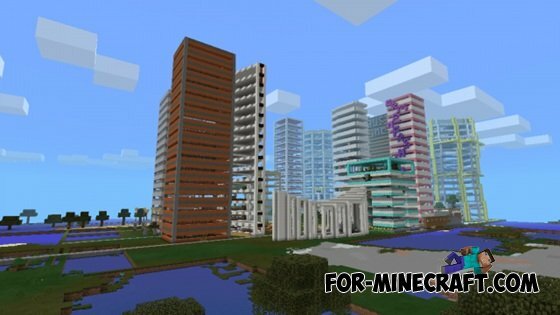 Map creator spent more than 8 months to create of this map and built on it: skyscrapers, parks, residential buildings, hotels, swimming pools, bridges, stadium and more! Indeed, these buildings are very similar to the real in today's world, everything looks very colorful and beautiful.